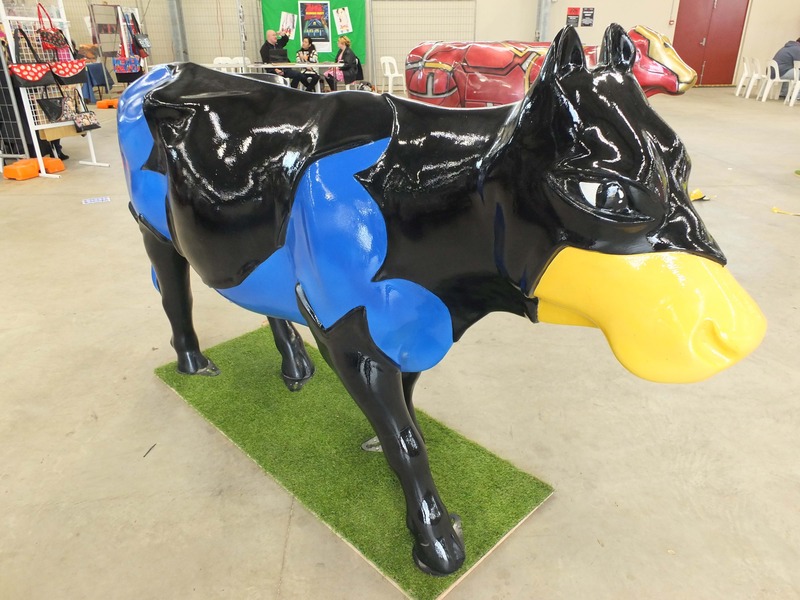 There's been a new addition to Greater Shepparton's Moooving Art herd following the 'Design a Cow' competition held last year. Last August, Greater Shepparton City Council put the call out to locals encouraging them to submit design ideas for a brand new cow to be placed at the Shepparton Law Courts. Council gave residents free rein in the design process, with just one rule to follow - the design applications had to be based on the theme, ‘What does Greater Shepparton mean to you?’. Of the hundreds of entries, two winners, Jack McIntyre and Kat Parker, were selected to have their designs featured on the new cow. Local artist Tank Art took elements of both entries to produce the final design. Greater Shepparton City Council Mayor, Cr Kim O’Keeffe, said the cow had turned out as spectacular as expected. “We have so many talented and creative people in our region and we wanted to give them a chance to express themselves on their very own Moooving Art cow,” Cr O’Keeffe said. “Congratulations to Jack and Kat, who both submitted incredible designs and are deserving winners. The cow will find a temporary home at the Shepparton Visitor Centre before moving to the Shepparton Law Courts once landscaping works have been completed.